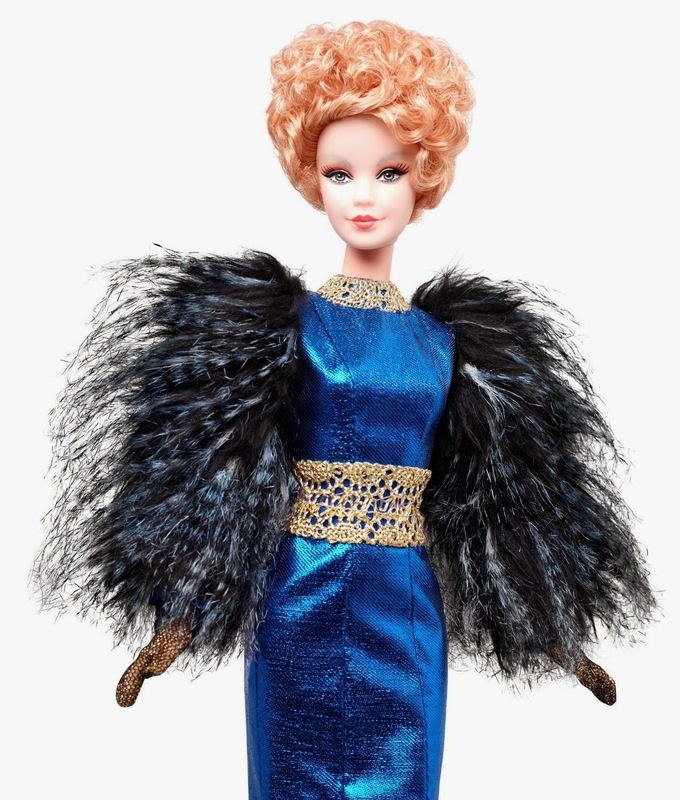 Barbie Collector The Hunger Games: Catching Fire Effie Trinket Doll: Now that she's escorting her tributes on a cross-country Victory Tour, this always-fashionable devotee of Capitol Couture gets to be in her favorite place of all: the spotlight. 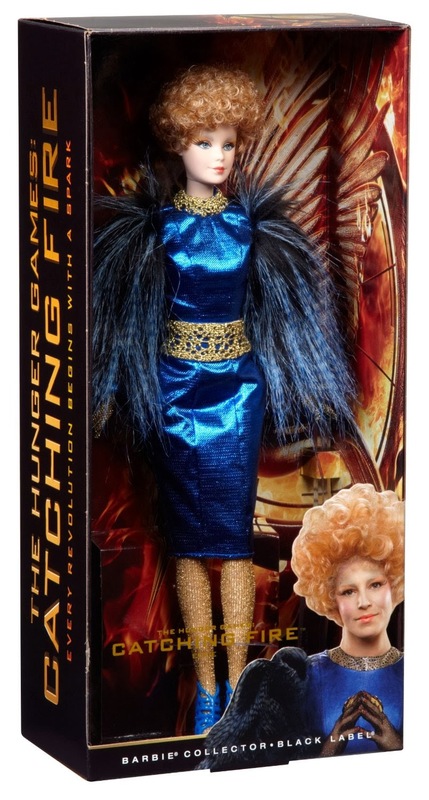 The Effie doll wears a metallic blue dress inspired by the costume worn in the film. Included are signature accessories: golden collar and belt and metallic net gloves. For the adult collector.